We will begin by inserting the green willow into a template chair base, to hold the uprights in place. 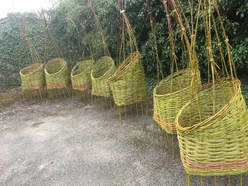 Using simple basketmaking techniques we will shape the seat, back and canopy of the chair. At the end of the day you will remove the woven chair from the wooden frame and take it home to plant straight away in your garden. 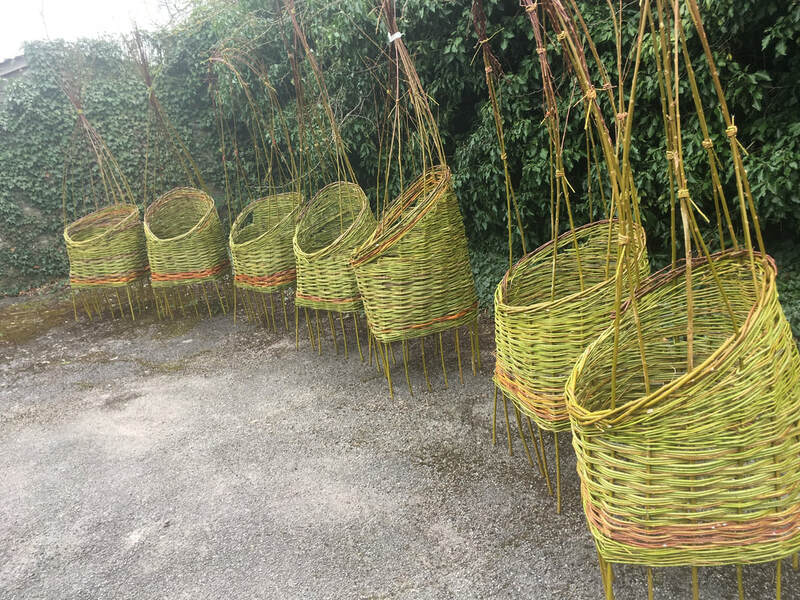 You will be given instructions on how to care for your living willow chair. If the weather is fine, we will be working outside so please wear suitable clothes. Materials are not included in your course fee. All materials will be provided by the tutor. The approximate cost of these will be £25, payable to the tutor during the course.